Pattaya Underwater World admission prices for foreigners: adult price is 500 baht, child under 130 centimeters height price is 300 baht. Prices for Thai nationals: adults 250 baht, children 150 baht. Show your Thai driving license and pay the Thai rate of 250 baht for adults. 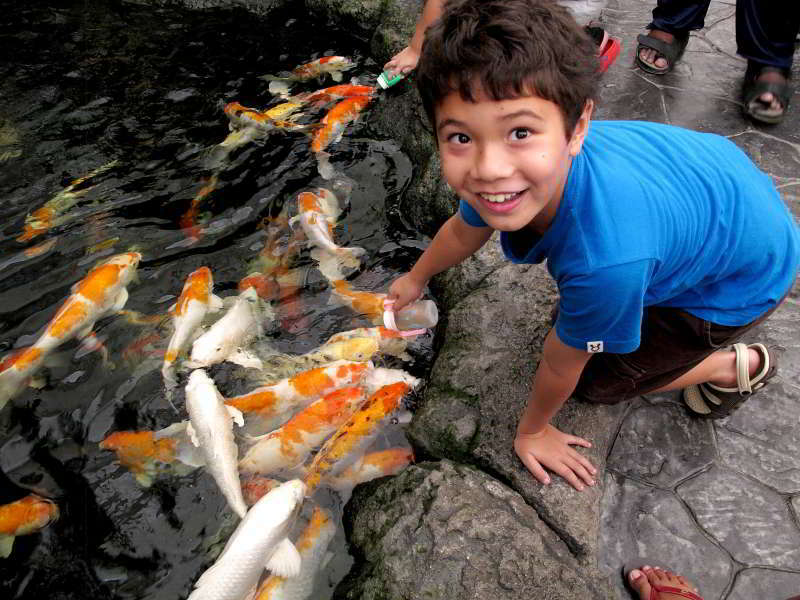 Get discounted entry/admission tickets to Underwater World in Pattaya. Read this Pattaya online tour and entry ticket booking guide and discover who is offering, and how to get the cheapest tickets to all the best attractions, activities, shows, and sightseeing tours in Pattaya. 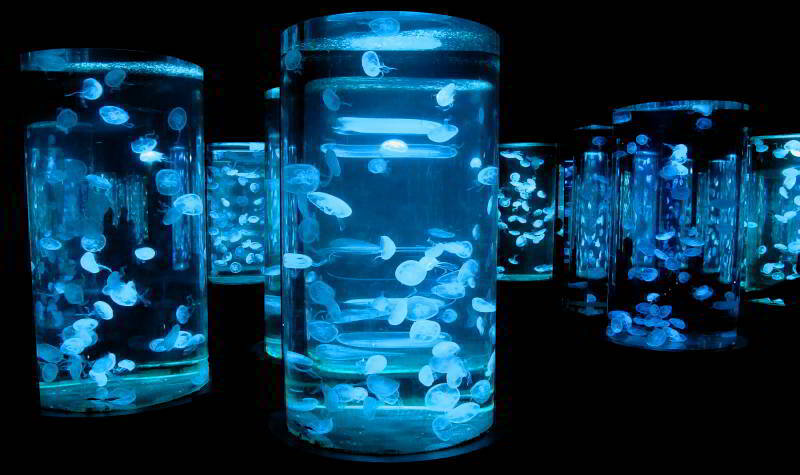 How did previous visitors rate Underwater World? Is it one the best rated things to see and do in Pattaya. 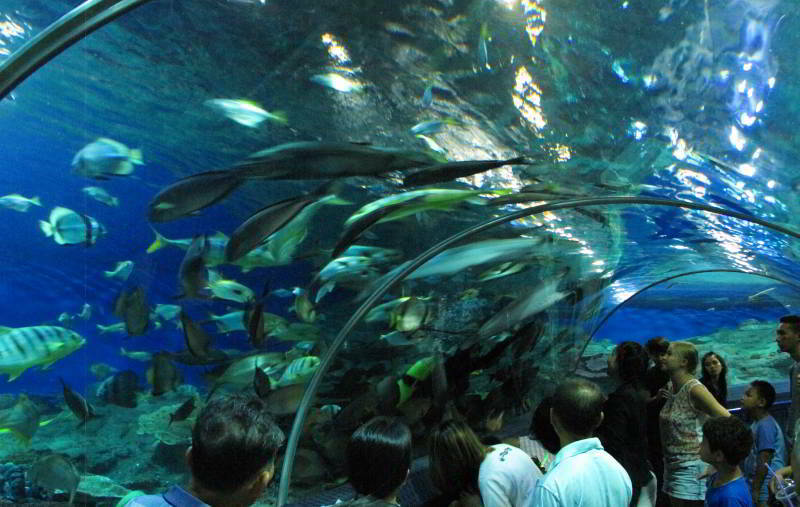 The main feature of Pattaya Underwater World is the walk-through tunnel (photo above) which features both marine and freshwater fish zones. 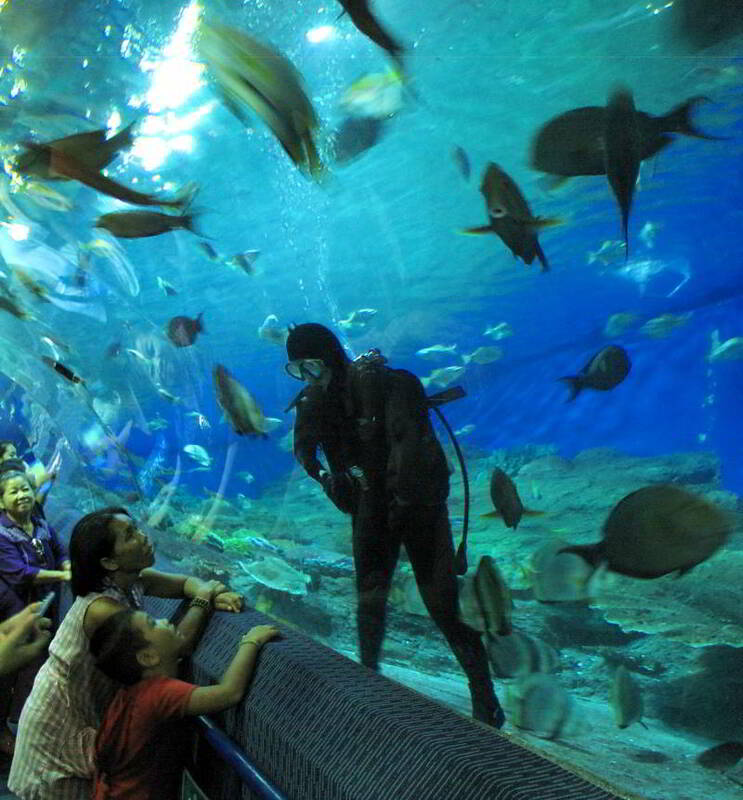 The daily feeding times are a crowd pleaser, a diver enters the water and feeds the fish by hand (see photo avove). 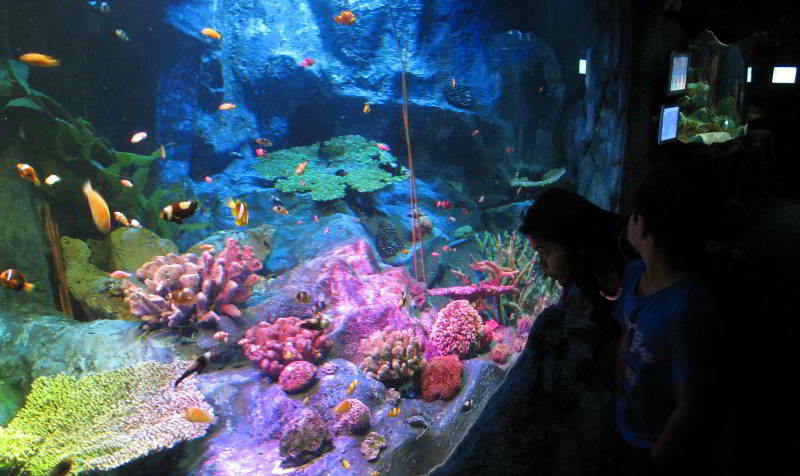 Feeding times are as follows: Coral Reef Zone 10.30 am. & 3.00 pm. Shark & Ray Zone 11.00 am. & 4.00 pm. Giant of Siam Zone 11.30 am. & 3.30 pm. Feeding times are subject to change, for up to date times please check their website. Feeding the fish with a baby bottle. Verdict: On the whole I think it’s a good day out, but expensive unless you can get in for Thai rates or purchase cheaper entry tickets online. Best to take your time in the tunnel and make sure you get some value for money. The best feature for me was the rays, but I think it’s also a great educational day out for children. If you can make your way by baht bus or motorcycle taxi to the southbound side of Sukhumvit highway you can then take the white baht bus all the way to Underwater World for about 10 baht per person. From the South Pattaya road junction it’s a distance of about 2.2 kilometers, watch out for it on the right-hand side of the highway, just a few meters past Makro. Alternatively, you could use either the GrabTaxi or Uber Apps. Pattaya Underwater World Address: 22/22 Moo 11, Sukhumvit Road. Telephone: 038 756 877-8. Get directions to Pattaya Underwater World with this Google map.